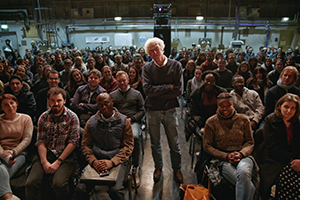 Last week, Roger and I returned to the National Film School in Beaconsfield, UK (just outside of London) where Roger began his journey into film. 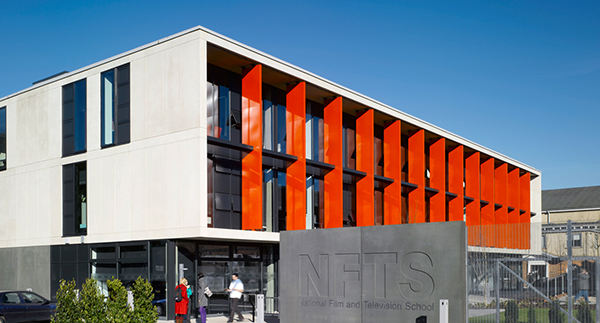 The National Film School opened their doors in 1971 as a government subsidized school designed to educate future film professionals and boost the film production in England. Roger was lucky to be there at the inception – he arrived in 1972. Visiting the school brought back a lot of memories for Roger. Of course, I had heard many, many of the stories of his adventures there so, even to me, it was clear that things had changed greatly. The film school has expanded greatly, which I guess is no surprise. Roger tells stories of a more…. unstructured experience when he was there. In fact, he points to one of the older buildings and singles out a window on the 2nd floor (1st floor for a British person – that’s another story) and says, that’s where I camped out – in the unused office. He told me that there were some students who had no grants and thus had to figure out where they would sleep at night and so claimed empty offices. Of course now, those offices are in use. Roger has very fond memories of the film school. In his time it was more ….. well, let’s say less structured but it was still all about exploring how to express something through film. Over the years, the school has expanded, has more students and more resources but the aim is still the same – give the students the opportunity to learn, explore and experiment. Which is a great opportunity. First up was a Q&A session with new students, moderated by the co-head of the Cinematography Stuart Harris. We showed some clips and Roger talked about some specifics and then took questions. This was the students’ first day at the school and you could tell they were being inundated from all sides! The second half of the day was a seminar with directing students. That was set up as a general discussion which made Roger nervous – “what could they possibly want to ask me?”. 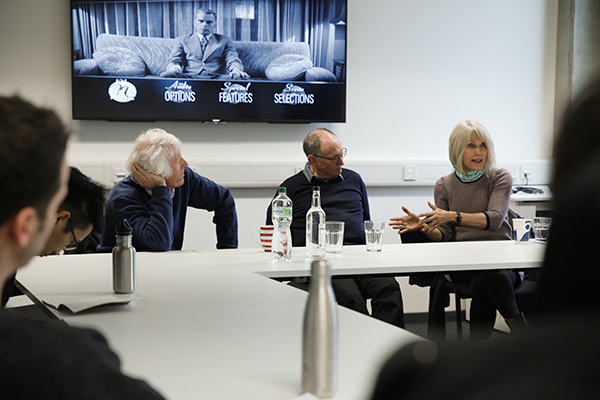 However, thanks to excellent moderation of Ian Sellar, the senior tutor for fiction directing and well known for his work in the industry, the conversation never flagged and was very interesting (as you can see by the photo!!). 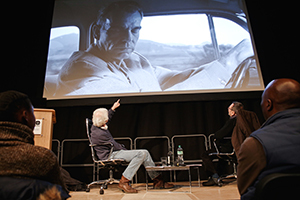 It was particularly interesting to talk to the students about the relationship between the director and the DP. 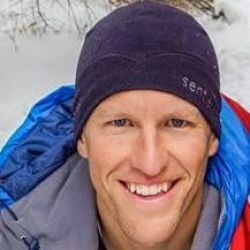 One topic that came up continually was the importance of prep. That prep ensures that everyone is on the same page in their vision of the film as well being a good way, if the people you are working with are new to you, of learning to work together and creating a type of shorthand which will serve you well in the long run. The next day was spent with the 2nd year and just graduated cinematography students. We started the day with a round table discussion. We looked at some clips along the way and talked about the specifics of those lighting set ups as well as fielding a large variety of questions on many different topics. Again the discussion of prep came up. Especially the importance of being involved in the set design since you don’t want to walk onto the set on the day and find a set with no windows or practicals and therefore a nightmare to light! (You might ask how we know this….well, that’s a story for a different day!) And if you are given windows, something like the density of sheers on the windows can either make or break your day! Prep with the costume designer is also important. Roger showed some clips from “The Man Who Wasn’t There” where you could see that the lighter tone of the suit was very important to help the character to stand out from the shadows. After a lunch in the cafeteria with the students, we continued the discussion and then went on stage with them to do some hands on lighting, which included lighting a backing which sometimes can be a challenge. 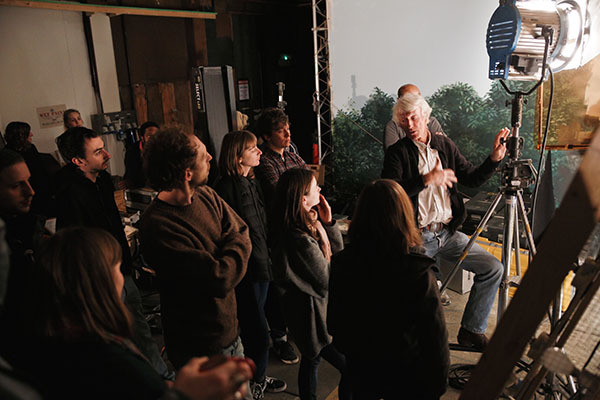 At dinner time, we were pulled off the set so the set design students could do what they needed to do and everyone went to a local pub for pizza and beer – and LOTS of conversation. A great deal of fun! Although when we got into the car the next morning to return home, we were shattered, it was a great experience for us and hopefully for the students too!